Sam Heughan wears a Tissot PR100 T101.410.260.31.00 watch in the movie The Spy Who Dumped Me (2018). 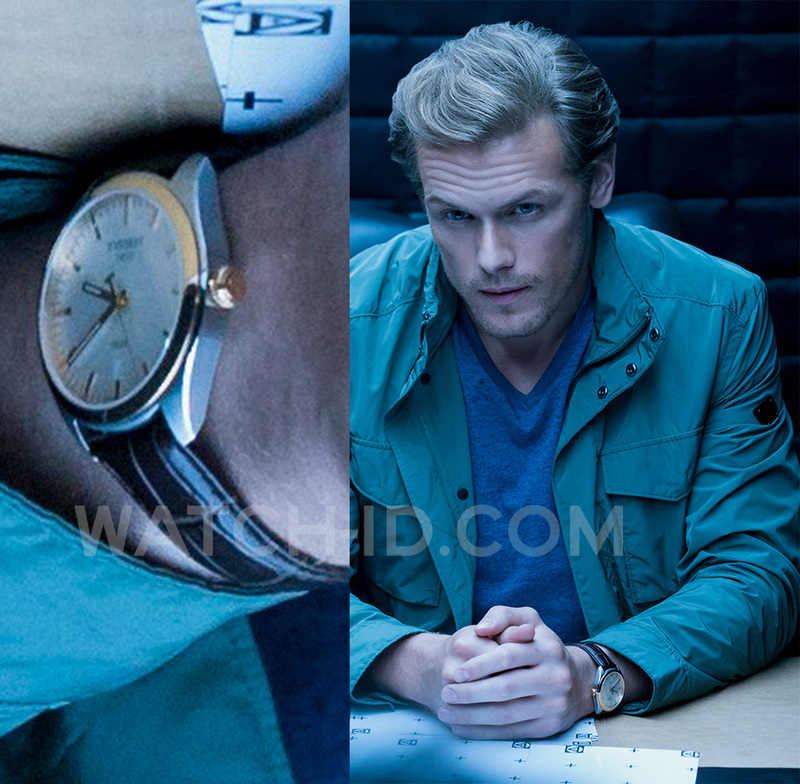 Actor Sam Heughan wears a Tissot PR100 watch in the movie The Spy Who Dumped Me (2018). The PR100 model has several variations, but Heughan wears the one with a brown leather strap, steel case, rose gold coated bezel, silver dial, model number T101.410.260.31.00. The classic looking watch is water proof, and has a date window at the 6 o'clock position. 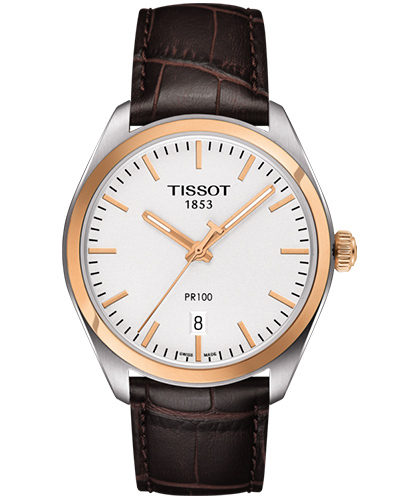 Available at Tissot, Amazon.com or find it on eBay.